Portunus Class Motor Torpedo Boat Tender: Laid down as LST-330, 12 November 1942, at Philadelphia Naval Shipyard, Philadelphia, PA.
Decommissioned, 18 April 1946, at Mare Island Naval Shipyard, Vallejo, CA. 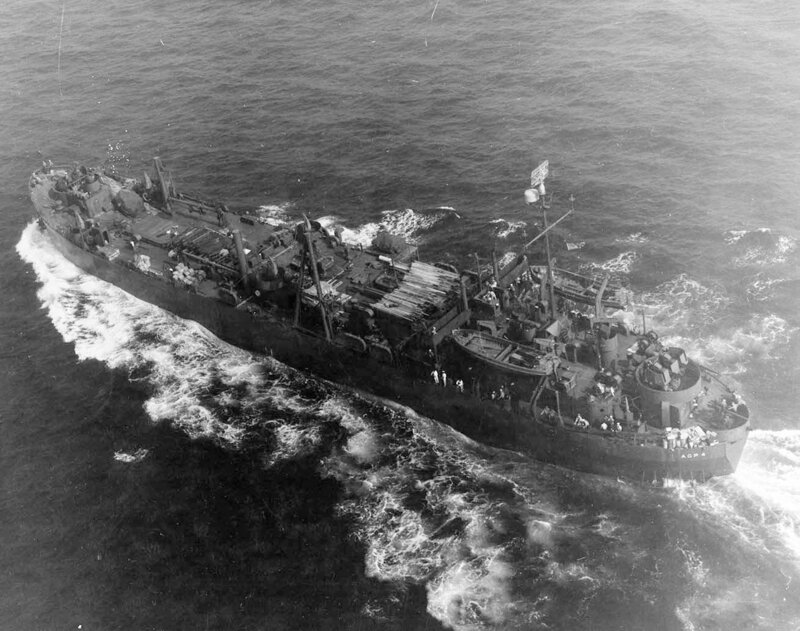 178k USS Portunus (AGP-4) ten minutes after passing buoy X-2 as she departs Norfolk, VA., 23 July 1943, bound for the Panama Canal and the Pacific Theater. 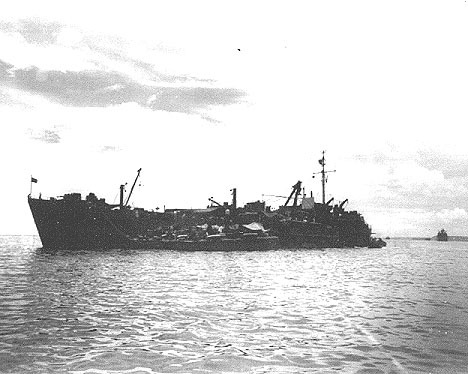 58k USS Portunus (AGP-4) with PT boats alongside, date and location unknown.